Frameworth is proud to offer the new ADIZERO Authentic NHL jerseys personally autographed by some of the biggest stars in hockey. 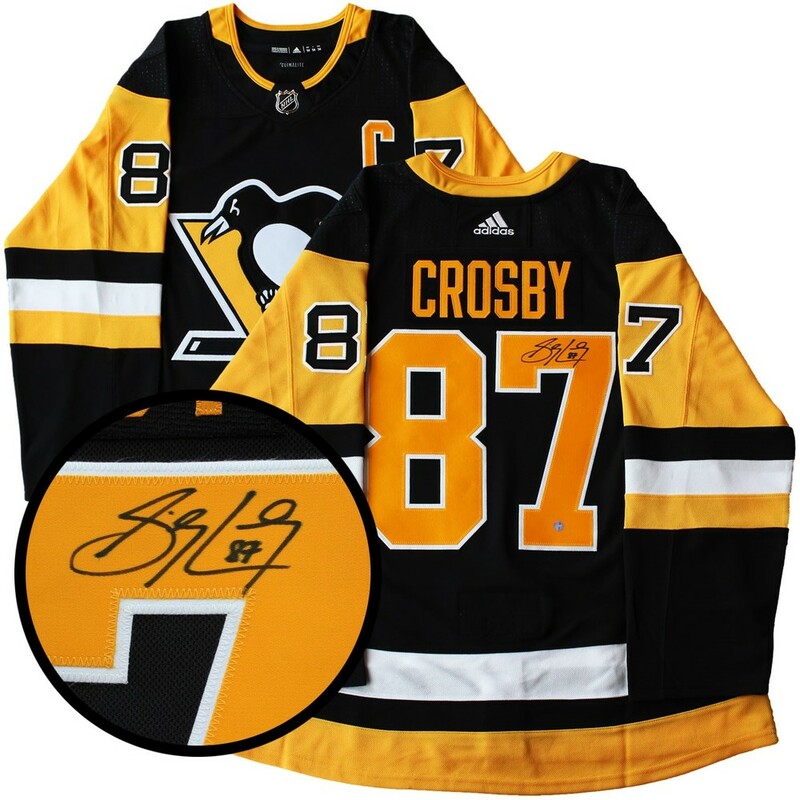 This jersey comes hand-signed by Frameworth exclsuive athlete Sidney Crosby. The jerseys comes with a Frameworth hologram and certificate of authenticity to ensure the legitimacy of the signature. To learn more about the new ADIZERO Authentic jerseys see below.